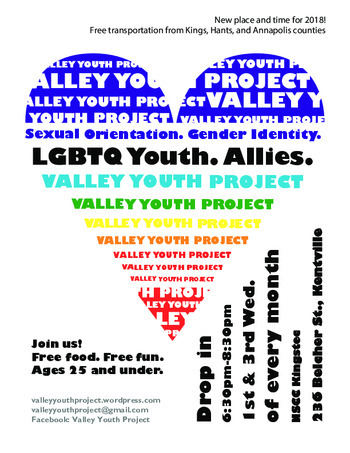 The Valley Youth Project hosts a social drop-in for 2SLGBTQ+ youth and allies, 25 years & under. We offer FREE TRANSPORTATION to youth in Annapolis, Kings, and Hants Counties. Visit our website to make a Transportation Request. 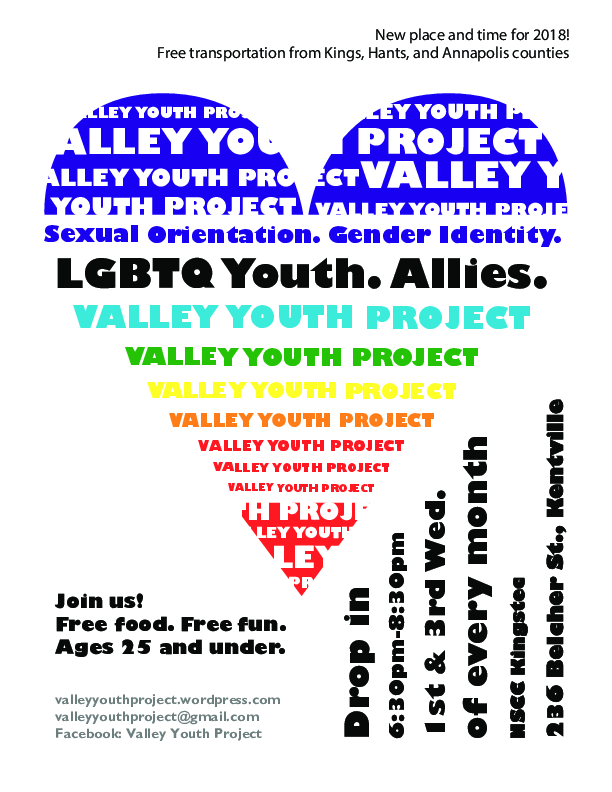 Come by to see friends new and old, enjoy snacks, activities, and great conversation. We run from 6.30 til 8.30, but you can come anytime and leave when you need to.